Very pretty. The grass glistens. Oh that light is beautiful!! And I'm sure you know how much I love bokeh! Beautiful photo! I adore bokeh! Beautiful capture, when I try to do things like this I never quite manage it right. Love being inspired by others' photos. That is soooo pretty! 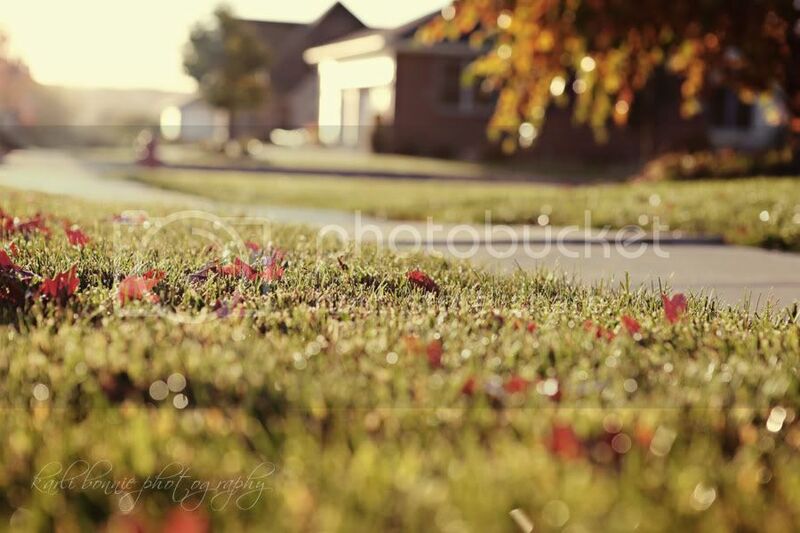 I love all the bokeh! So pretty! I love all the glistening! Beautiful! I absolutely love this shot! that picture is beautiful. It just made me take in a deep breath and say, "ahhh, Fall." So pretty! :D Love the sparkle on the grass.